Do serial killers and the FBI fascinate you? Do you like getting inside the minds of killers, love being creeped out, sleeping with your eyes open, and feeling like you’re involved in murder investigations? 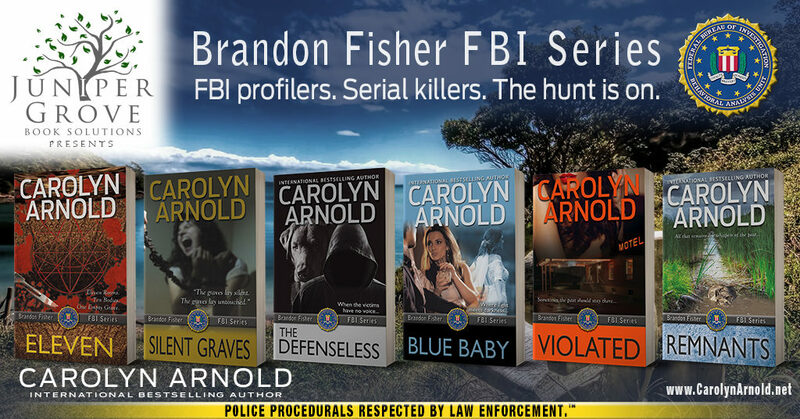 Then join FBI agent and profiler Brandon Fisher and his team with the Behavioral Analysis Unit in their hunt for serial killers. Read in any order or follow the series from the beginning: Eleven, Silent Graves, The Defenseless, Blue Baby, Violated, Remnants. Grab your copy of the first book, Eleven, for FREE on Kindle and Nook! Meet today’s guest, Carolyn Arnold. Is there a time of day or night when you’re most creative?